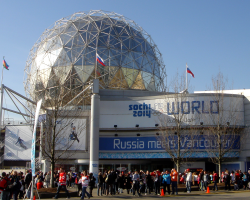 SOCHI 2014 Russky Dom (aka "Russian House") was set up in the unique Museum of Science building (Science World) during the 2010 Winter Olympic Games in Vancouver, BC. Situated next to the Olympic Village, the Russian House became one of the most popular attractions during the 2010 Olympic Games. The beautiful facility brought together athletes, fans, musicians, journalists and officials from all over the world. All indoor and outdoor stages of the Russian House were equipped exclusively with McCauley Sound Inc. loudspeaker products. 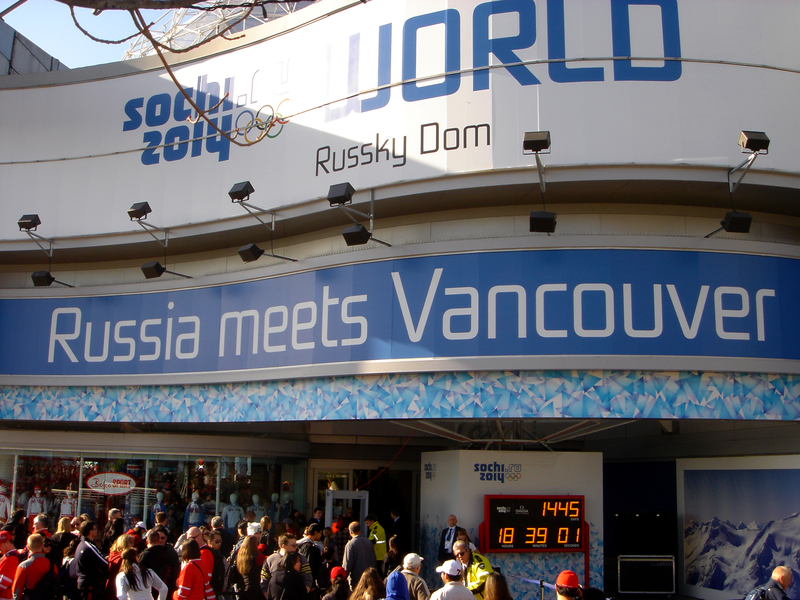 “There was no question about what products to use for the performances in the Russian House. We knew that all of the world famous Russian and international superstars would not be willing to compromise the sound quality for their performances. That is why McCauley Sound Inc. products are always the perfect choice for an event of such importance” said Vladimir Krysko, owner of Showprize, one of the largest production companies in Russia. “The sound quality, ease of use and bulletproof reliability of the McCauley Sound Products all speak for themselves. Back in Moscow we own over 240 cells of the McCauley Sound Inc. products and never use anything else. Our inventory consists of MLA6 – Large format Line array System, MLA3’s and M.LINE's, CSM88 subwoofers, SM72 and FM850 stage monitors. We also stock many of the SA Series McCauley Sound speakers. gave us plenty of SPL and perfect coverage of the concert floor. M.LINE arrays were used as a 4 way system, including MS1 flying subs and M88 subwoofers placed on stage. For the second stage the McCauley SA Series systems were used. SA422 atop SA455 subs always gave us plenty of power and perfect coverage. SA Series speakers were also used for all the outdoor stages. 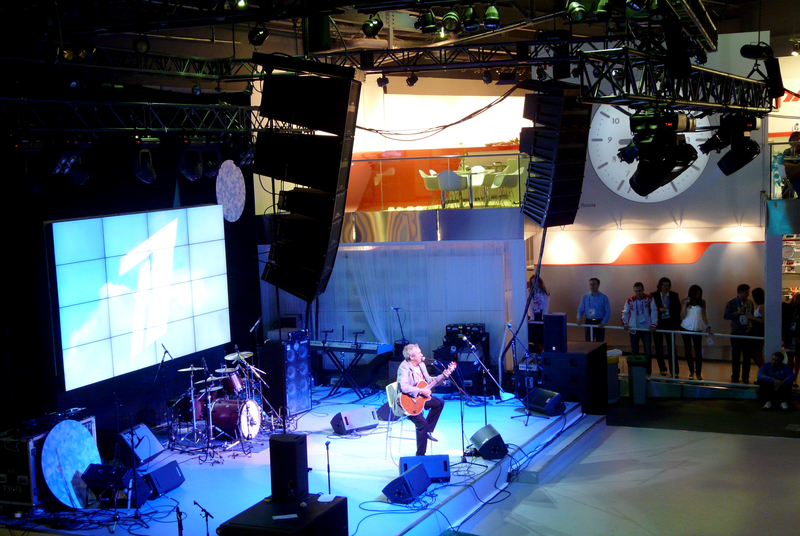 McCauley Sound SM72 high performance stage monitors were chosen for all stages in the venue. 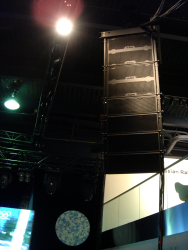 All loudspeakers were powered by Lab Gruppen FP10000Q, FP6000Q 4 channel and FP3400 2 channel amplifiers. All audio signal processing was performed by McCauley M408, M Series digital loudspeaker processors located in each rack. 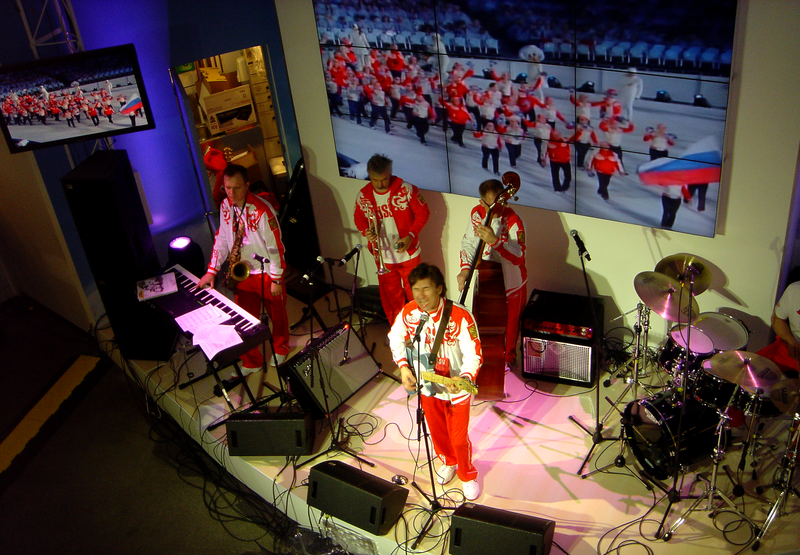 The legendary Russian cuisine, great performances by International superstars and, of course, McCauley Sound's products, all helped create an unforgettable, festive and truly Olympic atmosphere."